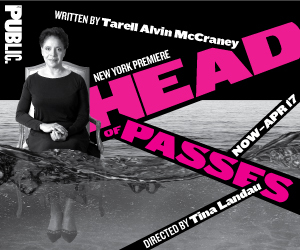 The Lucille Lortel Awards honor excellence in off-Broadway. Winners will be announced and honored at the May 1 ceremony. Herein, the full list of nominees, as well as special award recipients. (Unless indicated, categories were open to both plays and musicals.) 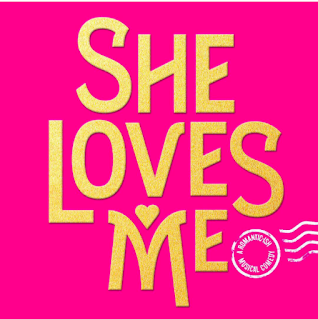 Of note: There are several incredible shows, performances, and creative efforts that did not get nominated (say, like, Significant Other), which just shows how rich the off-Broadway scene is these days. I don't like knowing a lot about a show before seeing it. Sure, sometimes I do, but some of my favorite experiences have been when I had no idea what the show was about, who the writer is, had no expectations of the cast (I'm thinking of Circle Mirror Transformation). I like to be surprised, and I like being sure that my reaction is my own, not filtered through someone else's lens. But sometimes, like when I go to the ballet, it's beneficial to read through the program notes, if there are any, once you're at the theatre. It can help you understand what's happening while it's happening, instead of having to sort through things in hindsight. We're eight years removed from the crippling financial crisis of our age, yet few people understand what happened. What are "financial products," and what kinds of financial services do people in finance provide? I could give you a jaded and cynical answer, but instead I'll focus on the finance people at the center of Sarah Burgess's new play, Dry Powder. The title is a finance term referring to liquid assets or a cash-on-hand fund. 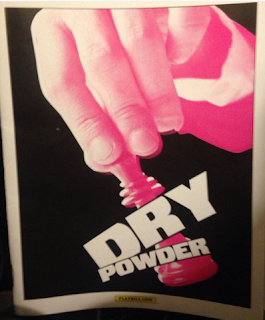 Unlike restricted funds, dry powder can be used on short notice and for a variety of purposes, whatever the finance people, like the private equity folks of Dry Powder, deem a worthy investment. Burgess is clever, though, and throughout her smart, sharp play, it seems dry powder can refer to not just funds that are expendable, but people, too. 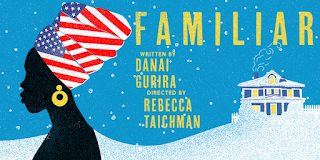 The new Danai Gurira play, Familiar, is a bit, well, familiar, what with its exploration of family dynamics. That is also what makes it easy to relate to, and even a bit comforting. To be sure, the family in Familiar does not look like mine. The parents, Donald (Harold Surratt) and Marvelous (Tamara Tunie), emigrated from Zimbabwe, and made a life in Minnesota, where their children were born. (By contrast, my family is Caucasian, and we've been New York natives since my great-grandparents' generation.) Their younger daughter, Nyasha (Ito Aghayere), has just returned from a trip to "Zim," as the character call it. Her older sister, Tendi (Roslyn Ruff), is about to get married—to a white Christian, Chris (Joby Earle). The family, including Marvelous's sisters, Margaret (Melanie Nicholls-King) and Anne (Myra Lucretia Taylor), and Chris's brother, Brad (Joe Tippett), is gathered for the wedding. 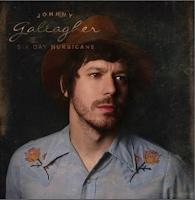 Check out the video for Johnny Gallagher's "Sarasota Someone," the first single off his debut solo album, Six Day Hurricane. The video was shot live at the Rockwood Music Hall record release party in January. 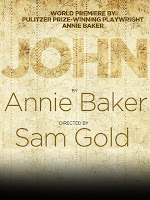 Gallagher, who won a Tony Award for Spring Awakening, returns to Broadway this spring in a revival of Long Day's Journey Into Night (previews begin March 31; opening night is April 19, and the limited run concludes June 26). The American Idiot star last appeared on Broadway in Jerusalem, and was part of the HBO–Aaron Sorkin TV show, TheNewsroom. Christopher Jackson (Hamilton) has been cast in the CBS pilot, Bull, which, you might recall from a few weeks ago, is based on the early days of Dr. Phil's trial consulting practice. Deadline has more. Ah, She Loves Me. It's a story we all know, thanks, mostly, to the movie You've Got Mail, which is based on the same source material as the musical. (That would be the Miklos Laszlo play Parfumerie and the ensuing film adaptation, The Shop Around the Corner.) That familiarity doesn't mean it's not worth retelling. 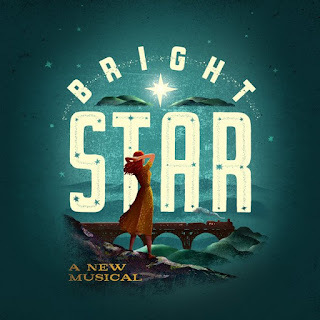 It's a lovely story, quaint, old-fashioned, and sincere, the kind of story we don't see these days, which makes this glorious revival such a welcomed treat.